Rene Harrop’s CDC Transitional Midge is one of our favorite emerger patterns for the Madison, Henry’s Fork, and Missouri Rivers and accurately represents an adult midge emerging from its nymphal shuck. Rene Harrop’s CDC Transitional Midge is one of our favorite emerger patterns for the Madison, Henry’s Fork, and Missouri Rivers and accurately represents an adult midge emerging from its nymphal shuck. 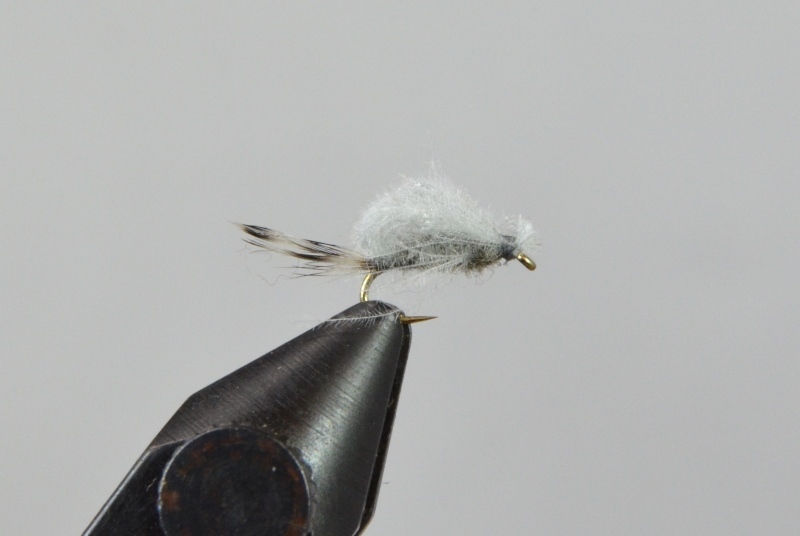 It features a small grizzly hackle tip for the tail and gray CDC for the legs and body.